In 2011-12, over 34,000 patients died in NSW acute care facilities. A common concern highlighted in many incident reports is the failure of treating teams to identify patients at risk of dying, and then develop and document appropriate treatment plans and communicate appropriately with patients and carers. In response to the growing concerns around the provision of safe, quality end of life care in NSW Public Health Organisations, the Clinical Excellence Commission (CEC) established the End of Life (EOL) program. The End of Life program will play an important role in the introduction of a state-wide approach to EOL care that ensures all patients who die under our care benefit from a consistent approach to individualised end of life care. This incorporates excellent symptom control, a prompt for communication to address social, spiritual and cultural needs as well as bereavement support for families and carers. The EOL program supports the delivery of the six outcomes outlined in the NSW Ministry of Health document - Advance Planning for Quality Care at End of Life: Action plan 2013 - 2018. Patients consider earlier in life and throughout the course of illness who can best make treatment and care decisions on their behalf should they lose the capacity to do so. Patients' wishes are appropriately documented and understood by their treating health professionals. 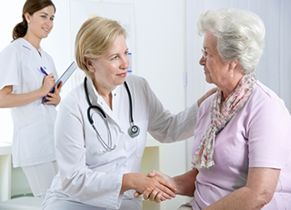 Patients are provided with care consistent with their wishes, within therapeutic limits, always focused on quality symptom management and best practice. Patients' preferences about where they want to die are respected and appropriate support and resources are available to provide this. Families and carers are clear about patients' wishes in advance so that they experience reduced burden of decision-making on patients' behalf. Health professionals consider Advance Care Planning for end of life as an expected part of clinical care, understand the clinical and other requirements for doing so, and are supported in providing best practice treatment and care to dying patients. This includes the introduction of the AMBER care bundle, a Statewide mortality review process and last days of life toolkit. Early identification of people who may have end of life care needs is the foundation for providing safe, high quality end-of-life care. It enables appropriate planning, transfer, interventions and communication with the person and their family. The AMBER care bundle (Assessment Management Best practice Engagement of patients and carers for patients whose Recovery is uncertain) was developed at the Guy's and St Thomas' NHS Foundation Trust in the United Kingdom (UK). It systematises patient care planning to allow patients to receive active treatment alongside an end of life care planning approach. It is a simple tool which combines identification questions, clinical interventions and systematic monitoring that can be applied in adult ward settings. The Clinical Excellence Commission (CEC) is introducing the program into acute facilities in NSW as part of the first international collaboration with the UK development team. The CEC's AMBER care bundle is a component of CEC's End of Life program. Mortality review is a process in which the circumstances surrounding the care of a patient who died during hospitalisation are systematically examined. The CEC, in consultation with clinicians, has developed a death screening tool and database. This will provide NSW local health districts and speciality networks with a standardised, best-practice method of screening and reporting on all in-hospital patient deaths.